The Executive Board of the Christ Church, Frederica, ECW met at the home of president Catherine Holt to disperse the proceeds of the recent Tour of Homes and the church cookbook sales to various community charities. "For me, this is one of the most rewarding aspects of the Tour", said Barbara Bruce, Tour Chairman. 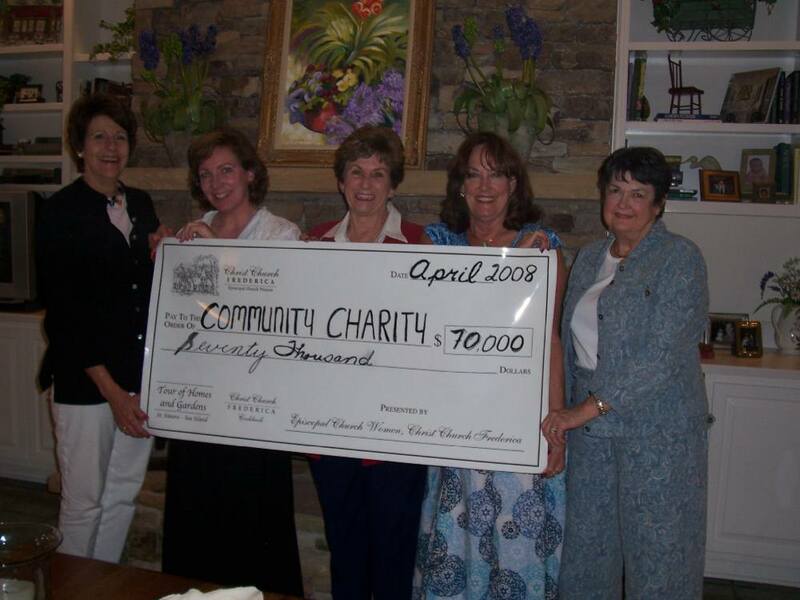 "This year we are able to donate $70,000 thus fulfilling our mission statement which is to benefit women and children. We meet as a board to review all the grant requests and meticulously select from that list. We share the joy of this ministry with the entire congregation of Christ Church."